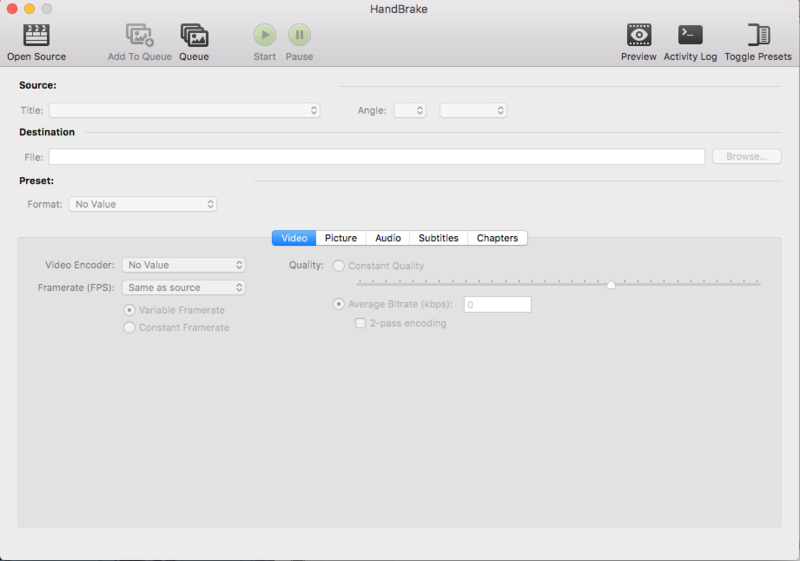 HandBrake for Mac is a free and open source video transcoder with multiple customization options that allows users to convert video from nearly any format to a selection of modern, widely supported codecs. 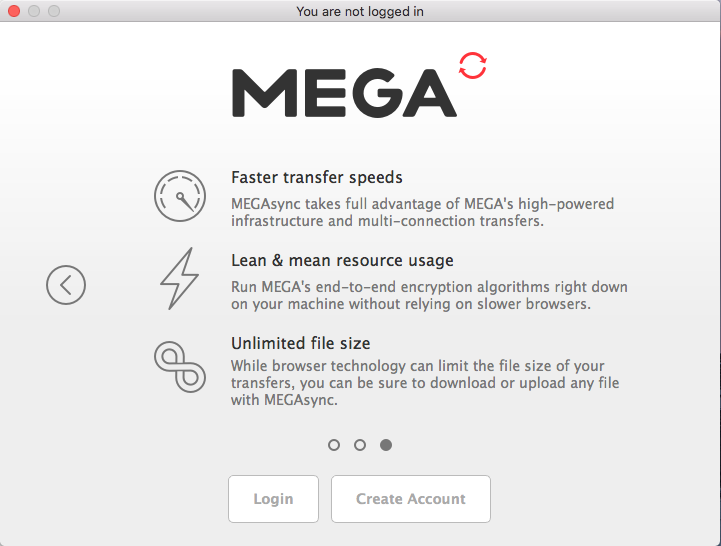 In our test, the conversion may take long to complete, and its interface is not so friendly for inexperienced users. Anyway, you may have installed this app and now decide to uninstall HandBrake for personal reasons. Encounter problems whey trying to remove it by moving to the Trash? Have no clue how to delete its leftovers after a standard uninstall? 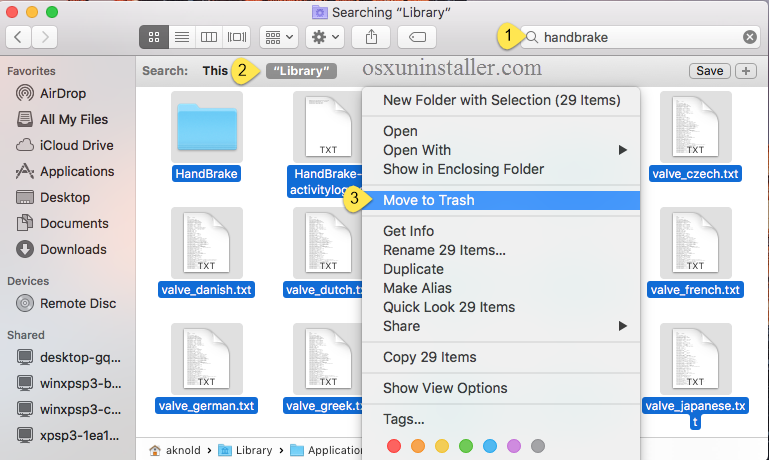 In this guide two different uninstall ways are listed to help you thoroughly get rid of HandBrake. Note: Prior to the standard uninstall, you are supposed to quit the app if it is running on the system. Make sure to first quite this app on the Dock, and then you can activate Activity Monitor to detect and deactivate all its processes on the background. Head to Applications > Utilities folder, and click to open up Activity Monitor. Select the process with the name of HandBrake, and click Quite (X) icon. After that, you can start with the uninstall. 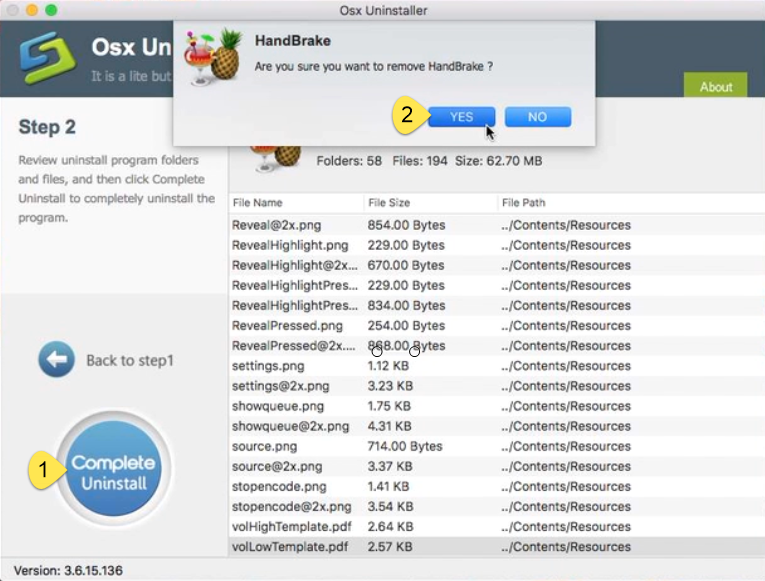 Two options are available here: you can either run an advanced, reputable uninstaller to handle the task, or you can adopt the conventional method to manually get rid of HandBrake from your computer. To get you know how quickly and easily HandBrake can be uninstalled from your Mac, check out this method first. 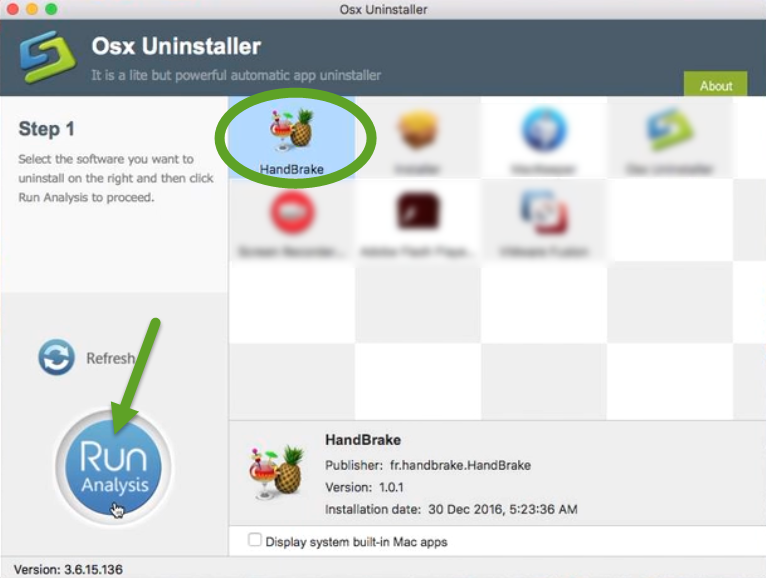 As a lightweight yet powerful utility, Osx Uninstaller enables users to totally uninstall any unneeded apps within a few clicks. Step 1. 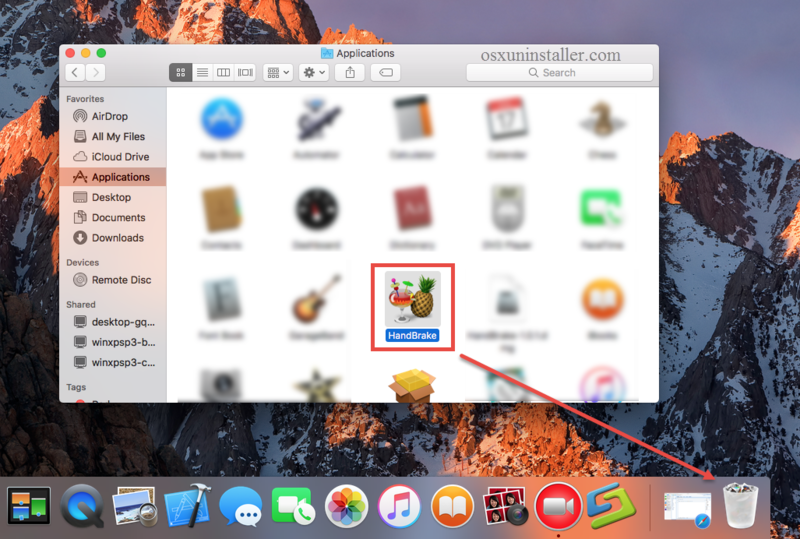 Download Osx Uninstaller and drag it to the Application folder. Step 2. Run Osx Uninstaller, select HandBrake and tap Run Analysis button. Step 3. 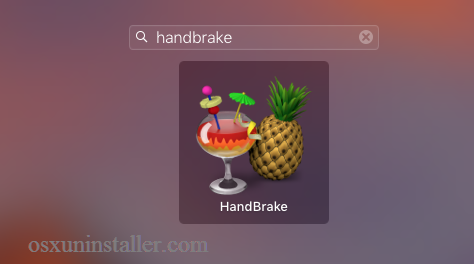 As all the items pertaining to HandBrake are listed, tap Complete Uninstall button, and click Yes in the dialog to conduct a thorough removal. Step 4. Click on the Back to Interface button to re-scan your Mac for installed apps. See? The whole process may only take a few seconds to complete, and then you can click on Back to Interface button to verify if HandBrake has disappeared from the interface, as well as from your system. Incredibly straightforward. 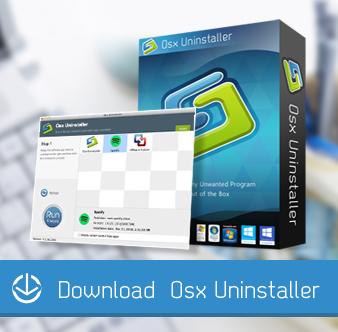 Osx Uninstaller is a handy and reliable clean tool for both Mac beginners and experienced users. Anytime you run into uninstall troubles, just give it a try to resolve those issues. For anyone who don’t want to uninstall HandBrake using Osx Uninstaller, follow the manual uninstall steps below to properly get rid of HandBrake from Mac OS X. As mentioned before, you should always quit the app before uninstalling it, otherwise error message might pop up to interrupt the process, or incomplete uninstall happens. Select the HandBrake icon and drag it with your mouse to the Trash. If prompted, enter your Mac credentials to execute this change. 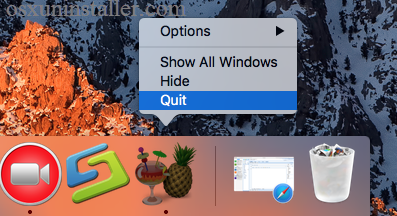 The drag-to-delete method works for almost all apps in all versions of Mac OS X. Generally the app will be removed instantly from sight and appear in the Trash. You will need to empty the Trash to perform the uninstall (we will talk about it later). If you cannot move the app to the Trash, reboot your Mac and then uninstall it again. Click on the Launchpad icon on the Dock, and type HandBrake in the search box. Hold on HandBrake that appears until the icon begins to wiggle and shows “X” . 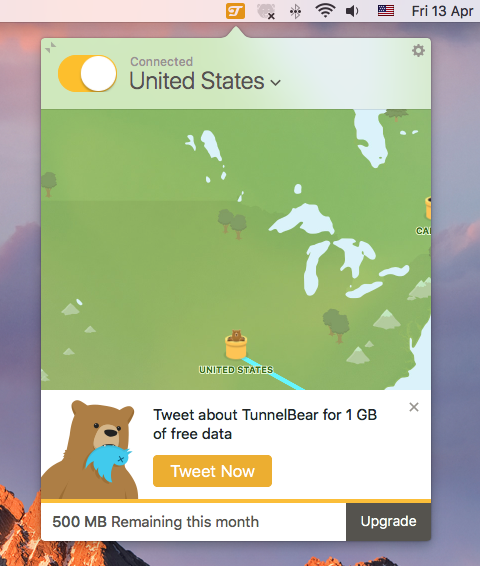 Once you click the X icon, the app will be uninstalled instantly from your Mac. Using this way you will not need to empty the Trash to conduct the uninstallation. Though HandBrake has been uninstalled, many invalid files and folders created during daily usage are still remains on the User Library inside Home Folder. To carry out a complete removal, you’d better detect those remnants and then delete them all. 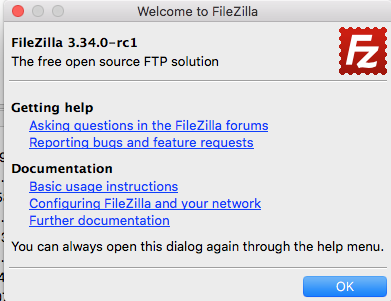 Open the Finder, click the “Go” from the Menu Bar, select the entry: |Go to Folder… in the list and then enter the following path: ~/Library. 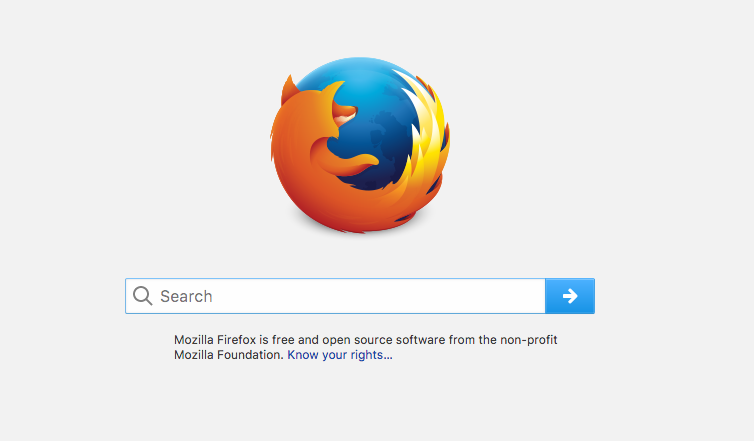 Type HandBrake in the search box, and click on the Library next to the Search: bar. You can repeat the steps to detect and delete (if any) component in the Library folder. After performing these two steps, you can empty the Trash to permanently get rid of them. But hey, here is the important point you should remember: the act of emptying the Trash is irrevocable, and everything dropped in the Trash will be deleted from the system immediately. Make sure you haven’t mistakenly delete anything there. 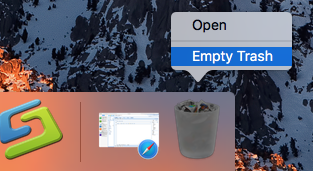 If you change your mind, you can right click on the items in the Trash and choose Put Back option, on the condition that Trash is not emptied yet. Until now you finally finish the manual uninstall of HandBrake, and all components are supposed to be removed from your system. Some users may feel it troublesome to carry out the regular way and the final result may be not so satisfying. 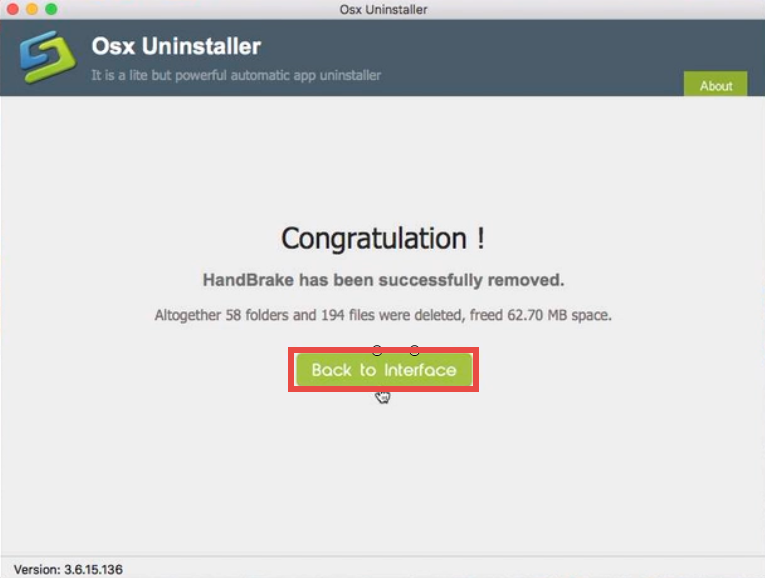 If you still have troubles in uninstalling HandBrake, just run Osx Uninstaller to resolve the issues. Any question or suggestion about this guide? Welcome to leave your comment here.